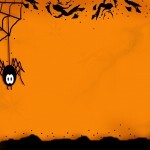 Surfnetkids » Halloween » Celebrations » Why Do We Carve Pumpkins for Halloween? The modern celebration of Halloween has both ancient and ironic roots. All Hallow’s Day (which was also known as All Saint’s Day) was proclaimed by Pope Gregory III in the eight century. This new holiday was created for a purely practical reason: The Church had more martyrs and saints to honor than there were days of the week. 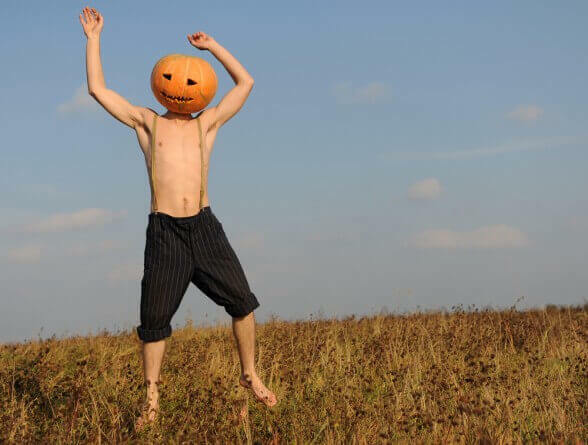 But it should be noted that long before the Christian celebration took hold, Druids had observed October 31 as Samhain (known as “summer’s end”), which was also the end of the Celtic year, a celebration of the summer’s harvest, and an appeasement to the sun god and the god of the dead. The Druids believed that the souls of everyone who died in the last year went on to dwell in the bodies of animals. Only on October 31 would the souls of the departed reappear to visit their relatives. Unfortunately, these revisits were not meant to be happy family reunions. Rather, the dead were thought to come back as witches, ghosts, and hobgoblins. In addition it was believed that they went on to wreak havoc across the land. The tradition of lighting large bonfires on Halloween stems from the Druid’s belief that these fires would frighten away evil spirits. As Christian beliefs overcame pagan superstition in Ireland and Scotland, celebrants of the holiday took over the role of mischief-makers from supernatural apparitions. 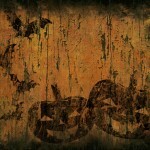 Interestingly in the early United States, Halloween was not a big deal. The early settlers were mostly Protestants who did not observe All Saint’s Day back in Europe. But with the Irish immigration during the 1840s, America received citizens that were steeped not only in Catholic education but also with remnants of some of the Druid practices of Samhain. One of the oldest traditions was for celebrants to carry a jack-o’-lantern. Surprisingly pumpkins were not the first choice in Scotland, turnips were used; in Ireland they used large potatoes and rutabagas. Pumpkins became the choice in the United States simply because they were much more abundant. In early Halloween history the jack-o’-lantern was carried all during the night, not left on a windowsill or the front porch. The scary faces that were carved on the pumpkins were presumably there to replicate the goblins and evil spirits once believed to rule the Samhain. No one really knows for sure why the lantern is called jack. But an Irish legend claims that the Devil once came to claim the soul of a bad man named Jack. However, Jack outsmarted the Devil several times and stayed alive. The story tells that when Jack eventually died, neither heaven nor hell would claim Jack. Since Jack was not consigned to an afterlife without a home, he begged the Devil for a live coal to provide light so he could navigate in limbo. The Devil, who, as always, was a soft touch when it came to Jack, gave him a piece of coal. The story says that Jack put the coal into a turnip. The legend concludes that Jack is still walking around with his lantern until either heaven or hell will open its door to him.